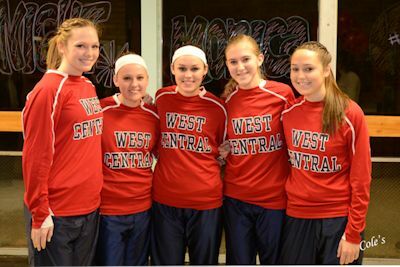 The West Central Heat girls basketball team was the winner of their Senior Night game vs. West Prairie. Savannah Pulse was high scorer with 15. Also in double figures Cierra Pulse with 13, Maddy Brent and Joni Lafary with 10 each. High scorer for West Prairie was Kelsey Bartell with 22.